Hellion Power Systems has once again revolutionized the way that the world looks at mail order power. Hellion’s new “Hellraiser” Twin Turbo system for the ’03-’04 Mustang Mach 1 is simply put, the most powerful, and most versatile street system available today. 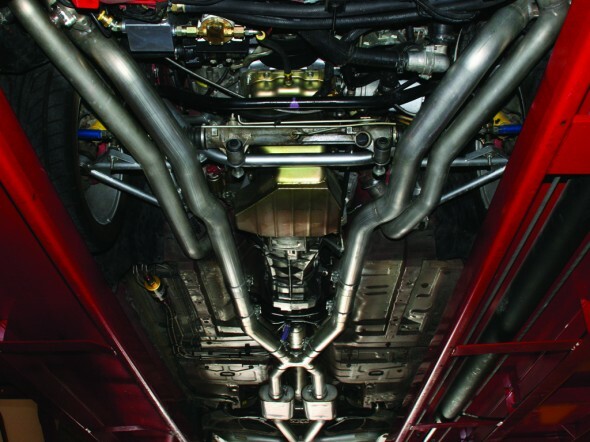 This system is unique in the fact that it was engineered to work with or without a Roots style supercharger in place. 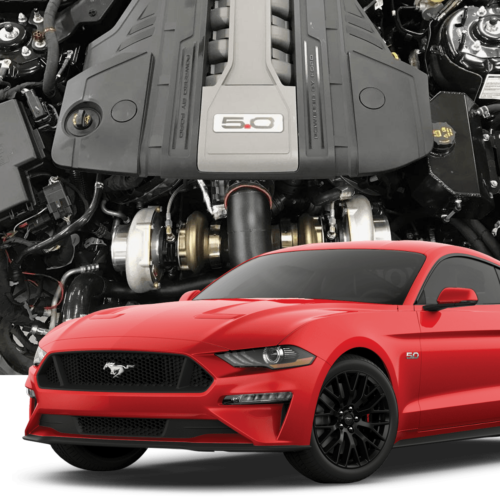 If the supercharger is left in place, this system becomes a “compound boost” setup – the first aftermarket system of it’s kind in the Mustang industry. This system is capable of more boost, more average power, and more low-end torque than any other system. You can find the standard features, a gallery of images and a complete parts list below. This kit includes the, caster camber plates, a-arms and coil over with the K-Member. Customer understands that 99-04 systems were designed around the UPR tubular K-member, therefore, using any other manufacturer may complicate installation of the Hellion Turbo System and change the intended design. Can I use this kit WITHOUT a Supercharger in place? Absolutely. This kit will attach to a 99-01 Cobra intake just like our other 96-04 Cobra kit. The Supercharger is simply an option for those who want to try the Compound Boost setup .But no, the supercharger is NOT a requirement. 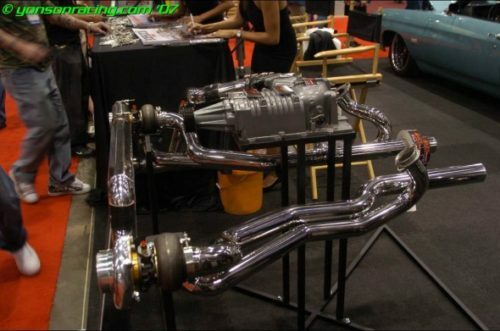 How much power can I expect to make with the Twin turbo system? The amount of power you can make is virtually limitless. 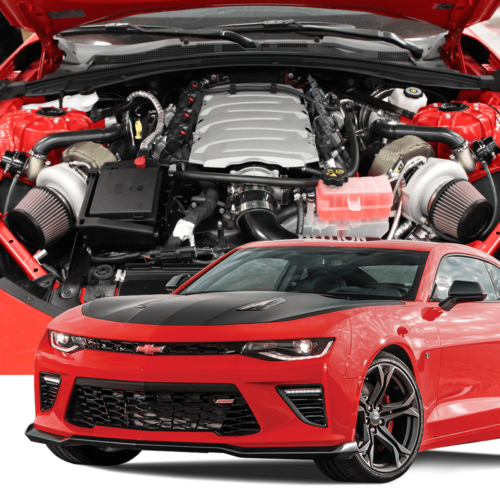 Depending on how extensive the modifications are to your engine, it would be possible to make around 1,600 hp with this kit. 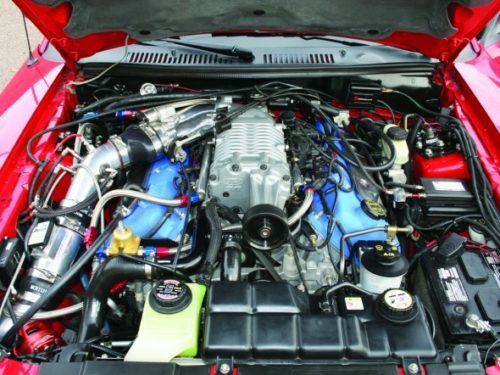 On an ’03 Cobra, with a stock engine, we made 1,188 rwhp and 1,000 ft. lbs. of torque. However, the power that you produce will depend upon your supporting hardware. 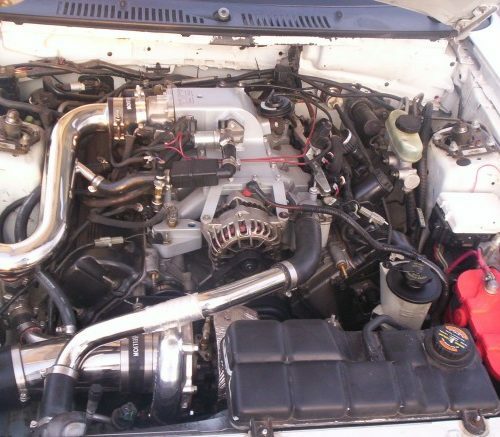 Why should I buy this kit over the competitor's twin turbo system? Simply put, for the quality. 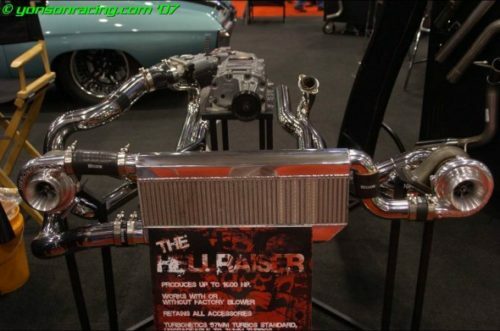 Hellion’s turbo systems are engineered with the highest quality parts available, for long life and maximum power. 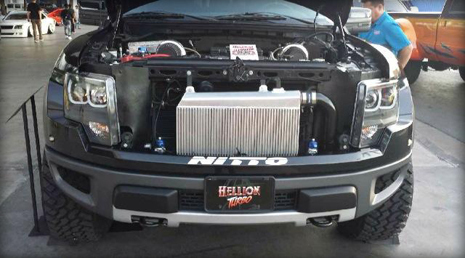 Hellion Power Systems includes premium parts as the standard equipment in all its kits. Our tubing comes with a lifetime warranty, and our turbochargers come with a 1-year, unconditional warranty from Turbonetics. Our twin system also includes a race bypass valve, capable of flowing of 1,300 cfm, ensuring that you will never have to buy a bigger valve as your car progresses. In addition to all of this, Hellion’s customer support, and shipping times can’t be beat. You can order your kit, and have it within 2 weeks from the time of order. The kit also includes an oil scavenge system that ensures that the turbos never run out of, or collect oil, preventing damage to the turbos.